The free media has a vital role towards the promotion of democracy. 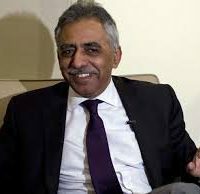 This was stated by the Governor of Sindh, Muhammad Zubair, here on Monday. He was talking to a five-member delegation of the Council of Pakistan Newspaper Editors (CPNE) which called on him at the Governor House under the leadership of its general secretary, Ejaz ul Haq. Other members of the delegation were: Aamir Mahmood, Ikram Saigol, Dr Jabbar Khattak and Maqsood Yousfi. The Governor was of the view that owing to speed of the electronic media and abundance of television channels at times there is no verification of the news and there is a need to pay attention towards this aspect. He believed that the freedom of expression means dissemination of news based on facts to the viewers and readers as this helps form public opinion. Zubair said that if the government policies and performance is criticised with facts and figures it helps towards making the required improvements. However, mere criticism for the sake of criticism and for settling any score, often cause obstruction in the public welfare work. Governor said that he supports the CPNE’s suggestion for public debate and dialogue. He appreciated the plan by the CPNE to open its offices in Washington and London and added that this would contribute towards promoting a soft image of Pakistan. Zubair also lauded the initiation of health insurance by the CPNE for its members.